When Joe DeMarco was a boy, he always knew his father, Gino, had a shadowy job, working for a violent Mafioso in New York. But he didn't know that his father had been a hit man until he was murdered. The crime was never solved, but twenty years later, one of Gino's former mob associates wants to get something off his chest before retiring to his grave: the truth about Gino DeMarco's killer. Only the alleged killer was not just another hood, but a supposedly upstanding citizen who is now on the brink of taking a job in Washington, D.C. that would leave him virtually untouchable. If DeMarco has any hope of finding out the truth and avenging his father's death, he will have to act quickly. But is revenge over a two-decades-old tragedy worth his job, and maybe even his life? 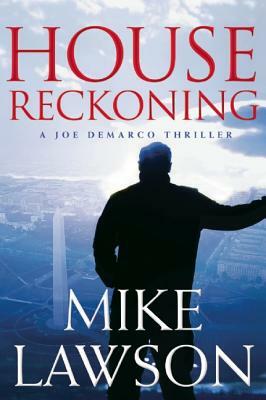 "House Reckoning" tells DeMarco's personal story in full for the first time, from his upbringing in Queens to his complicated relationship with his father. Full of great characters and featuring a twisty plot that builds to a shocking conclusion, it is a must-read for fans and an excellent introduction to this fantastic series.